There are few restaurants in Dublin that are so deeply invested with happy memories for me than Restaurant Patrick Guilbaud. 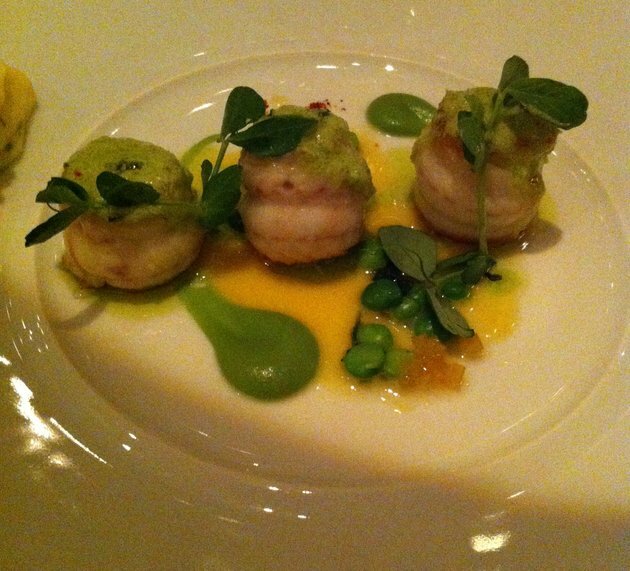 It has remained a relevant and most desirable restaurant in Dublin since 1981 and the only Irish restaurant to hold a 2 Michelin*. I still hold fond memories of dining there in the 80’s when I was a fashion designer and can recall when Patrick Guilbaud’s vision to bring Fine dining to Dublin, did create quite a stir, offering “Nouvelle cuisine”, in it’s stylish former location on St James place just off baggot street with Bruno Bertha as restaurant manager and Mr Guilbaud was always there himself to greet you. I returned there a few weeks ago for the first time in a very long time and was relieved but not in the least surprised to discover that it is still dedicated to the pursuit of excellence, from what is put on the plate to how it is served. Located on the ground floor of the Merrion Hotel, we were warmly greeted by Stephane and perused the menu in the library while sipping an Auxey Terres Diconne. The dining room itself is very imposing, with tables well spaced out and service here is slick. Our waiters were all charming, poised and flawlessly professional. 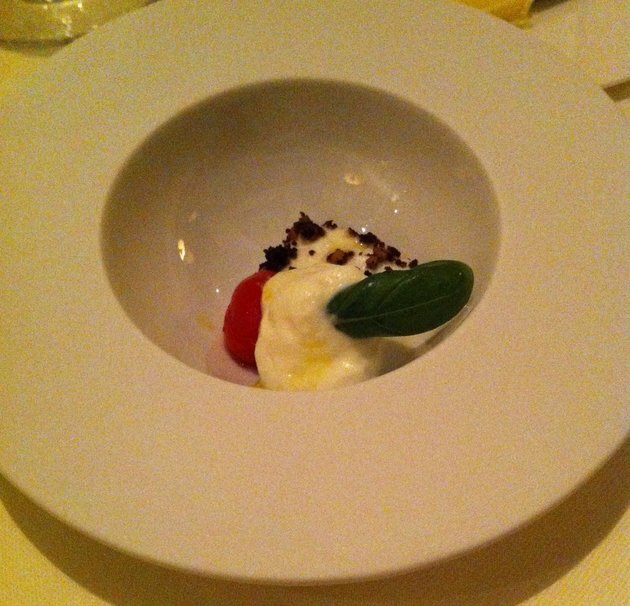 To start our meal, we were served with the usual “Amuse bouche“. Much too often, these morsels that begin a meal are fiddly waste of something or the other, smothered in tasteless foams or gels rather than anything that is meant to provoke pleasure, But not in this instance, While simple, the Deconstructed Tomato, Mozzarella & Olive dust was magnificent with great depths of flavours. 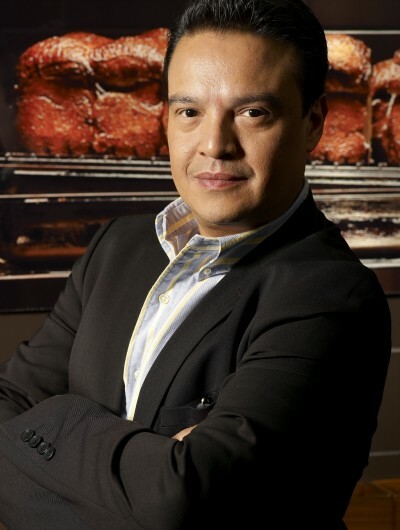 It flirtatiously excited your interest in the meal to come. 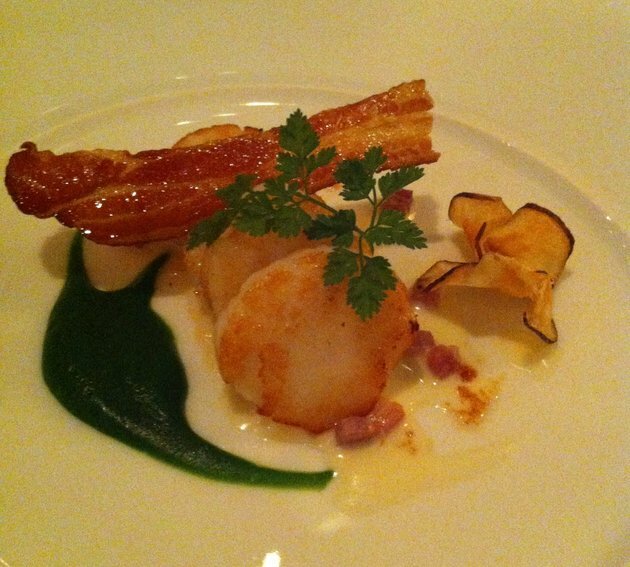 A starter of Grilled Castletownbere Scallops, “Bacon and Cabbage” was an inspired idea, perfectly cooked scallops melted in the mouth and the accoutrement of Bacon & Cabbage was lusciously earthy yet very subtle. 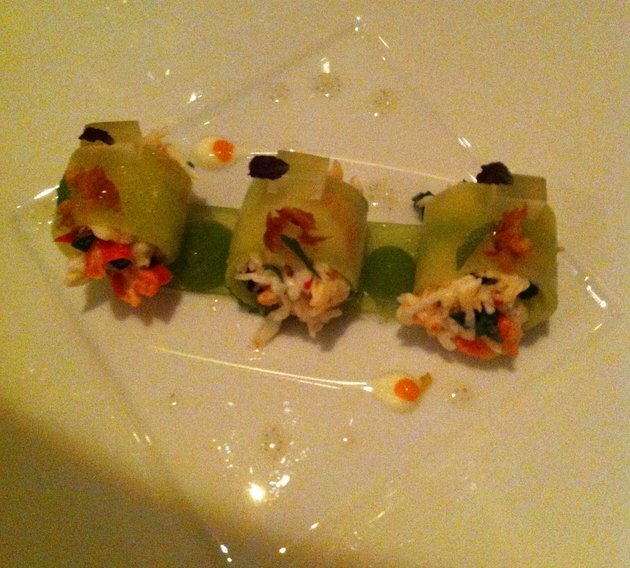 Red King Crab and Cucumber Maki was delicately rolled sweet fresh crab meat in wafer thin slivers of cucumber. They were racy little mouthful gently spiked by lemon croquant, Bombay saphire & Mint and Vanilla oil. I could have eaten a whole plate of these alone. We followed with Paupiette of Black Sole, Tomato Dashi & Minted Vienoise. Fillets of black sole were rolled in a very fine coating of minted crumbs, perfectly cooked and moist, it came in a deliciously acidulated pool of tomato dashi and sweet garden peas. It was an elegant and very tasty dish indeed. 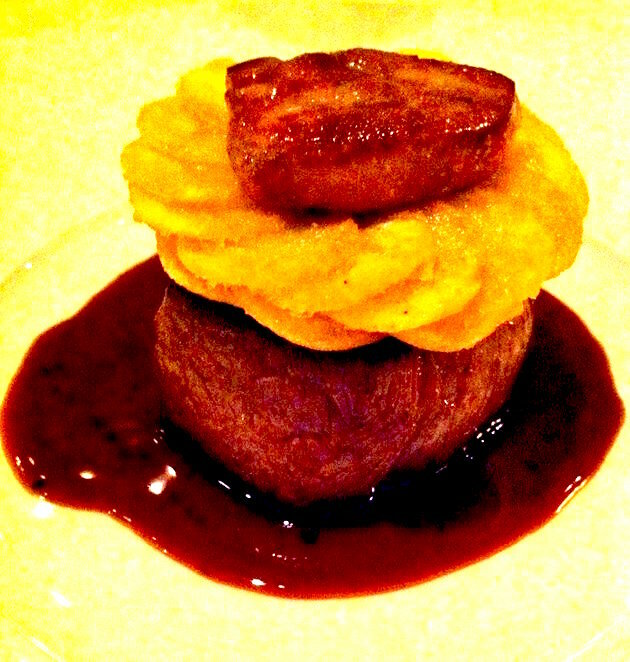 Fillet of Irish beef and roast Foie Gras was a brilliant pairing. Great cooking is when things taste of what they are and here the beef reigned supreme, tender yet still with a bite, a maderia & truffle jus napped each forkful perfectly and all topped with a luscious lobe of roasted foie gras. To say that this dish was very tasty is an understatement. Cosmic Apples and Pistachio was another winner. 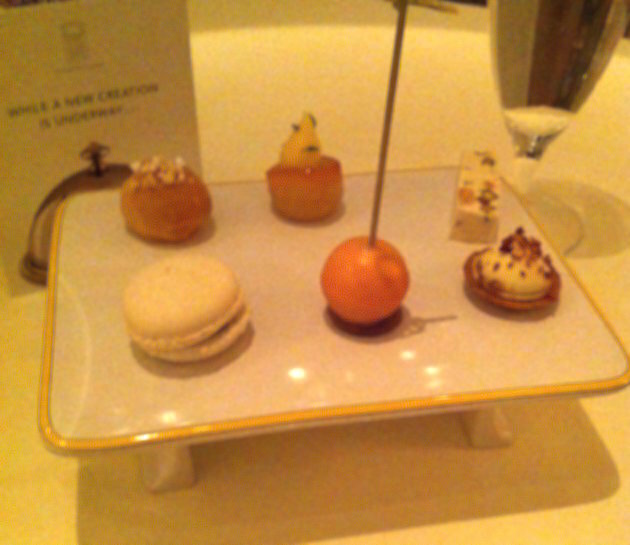 While I was impressed by the gastronomic symmetry of this dessert, it also delivered on all accounts on taste. 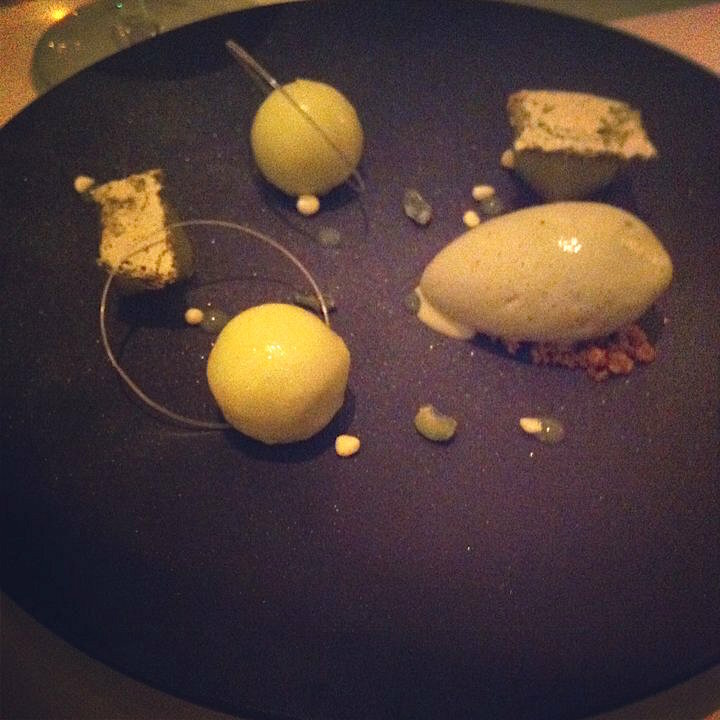 The cosmic apple constellation exploded in a burst of freshness in the mouth and the pistachio ice cream was a perfect combination. 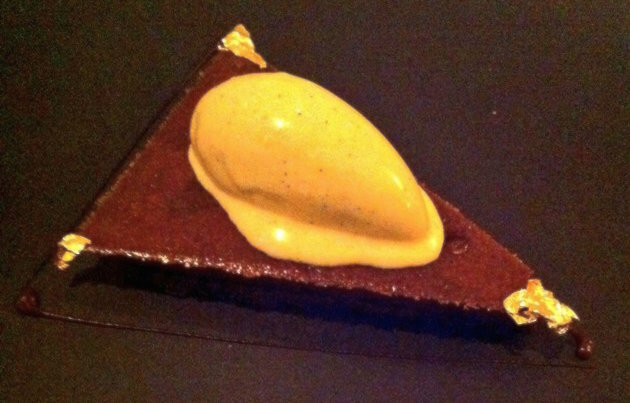 However the piece de resistance was the Contemporary Dark Chocolate Tart, served with bourbon Vanilla ice cream and gold leaf. I can still recall the heavenly taste of this dessert. “Orgasmic“ comes to mind but I’ll moderate myself and say that it was the best chocolate tart I have ever eaten. In all this was a superlative dining experience and flawless service throughout and without hesitation Restaurant Patrick Guilbaud should be on everyone list of Special occasions table of choice.